AUSTIN, Texas — One of the country’s premier graduate awards, the Harry S. Truman Scholarship, has been awarded to Alyssa Ashcraft, a government and humanities junior at The University of Texas at Austin, who will use the award to pursue a dual degree in law and public policy. As a 2019 Truman scholar, Ashcraft will receive $30,000 toward graduate school and the opportunity to participate in professional development programming to help prepare for a career in public service leadership. Ashcraft was inspired to advocate for education equity by her upbringing in Nederland, Texas, as the daughter of two public school teachers. As a freshman, she founded the Campus Closet and obtained funding from the Office of the Dean of Students to provide professional clothing to low-income students. Now named UT Outpost, it has become a permanent campus resource and has expanded to include a food pantry to address food insecurity. UT Outpost has served more than 500 undergraduates so far. Since its establishment in 1975, the award has become one of the most prestigious national scholarships in the United States. Ashcraft was one of 62 Truman scholars named this year, selected from 840 candidates nominated by 346 colleges and universities, a record number of both applications and institutions. The 2019 recipients will be recognized in a ceremony at the Harry S. Truman Presidential Library and Museum in Independence, Missouri, on May 26. 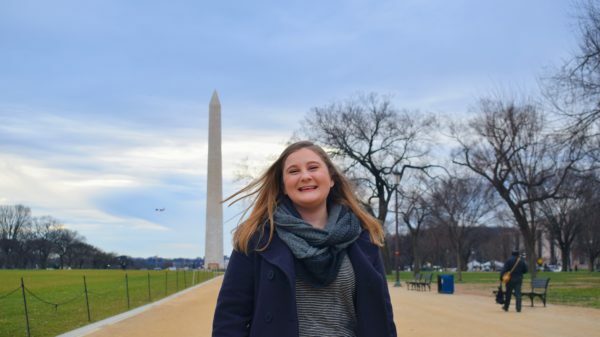 During her time on campus, Ashcraft has also been the Academic Affairs chair of the Liberal Arts Council, a member of the Texas Orange Jackets, a Rapoport Service scholar and an Archer fellow, which currently has her working and studying in Washington, D.C. Since the program was established by Congress as the nation’s living memorial to President Harry S. Truman, 22 UT Austin students have been named Truman scholars.